Want to face off waves of enemies in a Gladiator Arena? It has that. Fancy a battle to become King of the Hill? There's that too. Zombie survival waves? Check. It even has a random battle generator and more. The real big thing here though, is the ability to make your own battles. Keeping in mind this is an Early Access title, so it's not finished. It does get regular updates usually once a month, each one adding in quite a lot of new features so the developer has put some impressive work into it. Being able to directly edit battles others put up, is also quite awesome. 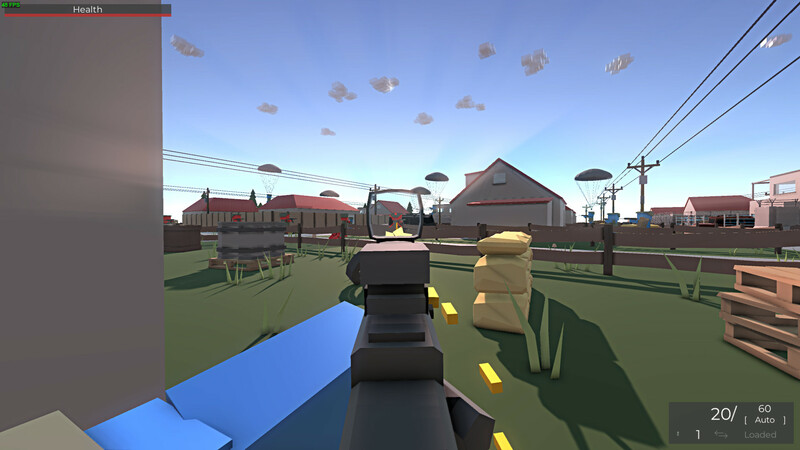 It has hundreds of different units to add into a battle, hundreds of different pieces of equipment, loads of different objects to place on the map, different pre-made battles to try out and you can setup your own battles picking every single thing. Change the biome, the terrain type, the amount of water, the time of day and so on. There's a ridiculous amount of customisation on offer, it's got this part down and it's quite interesting to actually make a battle. It's a fun idea, however I'm not sold on it. The main issue is the AI, it's…pretty dumb. They don't really seem to have any actual behaviours, other than walk towards enemies and use a weapon so I really hope they overhaul the AI to make it more interesting. I could have a battle, where I'm sat behind a bunch of enemies, taking them down one by one and they just don't react. You would expect them to at least go "oh, five of us just got shot from behind, maybe we should check it out". On top of that, character movement feels far too sluggish. For a game that's all about the action of the battles, everything moves at a snails pace so it feels quite awkward. Additionally, not being able to see or edit controls once in a battle is quite a nuisance. As for the full release, the developer said they have around 11 or 12 major feature updates planned so it should leave Early Access towards the end of the year. The developer does have an open Roadmap on their website, which does list a new "Event triggered AI" system coming to the update due at the end of next month so that could be fun to play with. They also have a page to follow their progress, showing what's been added in recently so it's nice to see how open they are. I'm not going to outright recommend it just yet, not at least until they solve my main issues noted above. Very promising though, so I will absolutely take another closer look in a couple of months.